According to doctor and author Deepak Chopra, the most common reason for heart attacks is not smoking, overeating or lack of exercise, but a lack of purpose or meaning in life. Physical crisis or not, a lack of purpose in life commonly manifests itself as a perpetual angst. People today commonly ask themselves and don’t find answers to questions like — Why is it, that no matter how good life gets, there always seems to be something missing? What is that something that feels missing? Why is it so difficult to pinpoint what it is? The missing link is purpose–knowing and living one’s unique purpose in life. Discovering purpose requires more than knowing how to care for the soul. It is so much more than doing what we love and hoping the money will follow. For so many of us, what society has taught us about finding purpose leads to dead ends, and no longer satisfies. 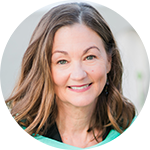 Finding Fulfillment From the Inside Out: How to Unravel the Real You and Discover Your Purpose in Life lays out a path to a deeper, sustaining experience of personal purpose. You will learn what purpose truly means, how to discover it, and how to make it come alive in your daily life. It will guide you through seven steps that include stories of people from a variety of backgrounds who have completed the process. 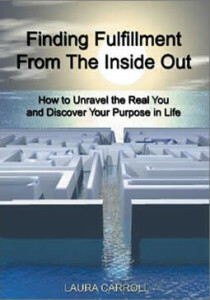 Complete with exercises, Finding Fulfillment From the Inside Out is designed for you to use as your tool to uncovering and living a life rich in purpose and meaning.